Hurricane Harvey swamped Houston with seven days of pounding rain last August. When scientists went back to look at historical weather patterns, they reported Harvey dumped 20 percent more rain than it typically would have. The culprit: climate change. Today, we know that Harvey wasn’t an outlier. 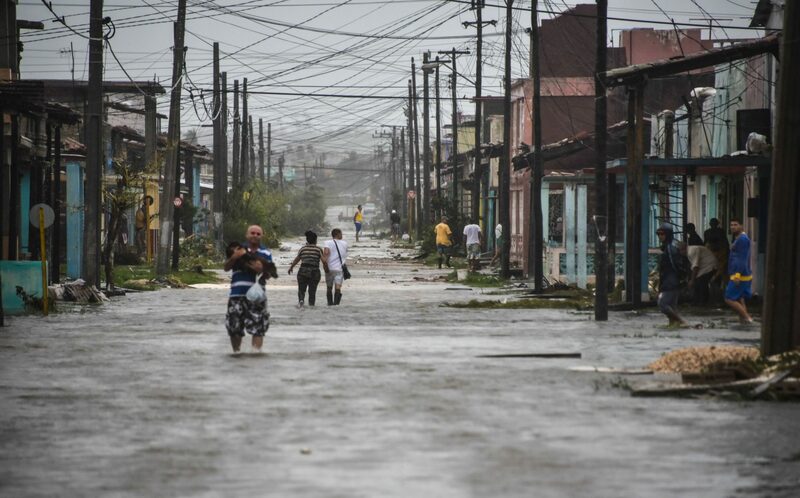 A new study, published Wednesday in Nature by the same lab, reports that climate change intensified the rains of Hurricane Katrina, Hurricane Irma and Hurricane Maria by between 4 and 9 percent. The researchers predict that future warming could increase rainfall totals for the most extreme hurricanes and tropical cyclones by up to 30 percent. Humans can also affect these torrential rains through how we engineer cities. A second analysis, also published today in Nature, found the urbanization of the Houston area — namely its skyscrapers and the pervasive use of pavement and other concrete surfaces — made Harvey’s rain dump and subsequent flooding worse. Here’s how both teams used supercomputers to analyze these superstorms and what their research means for future storms. To model how a changing climate impacts tropical weather, climate scientists Christina Patricola and Michael Wehner of Lawrence Berkeley National Laboratory first had to model real life hurricanes. Recreating those storms with computers can help fill in gaps in those hurricane observations. To do that, the team used supercomputers to model 15 major tropical cyclones that formed in the Atlantic, Pacific or Indian Oceans in the last threes decades. Storms included Hurricanes Andrew, Katrina and Matthew as well as Typhoon Haiyan and Tropical Cyclone Gafilo. The researchers simulated each storms’ formation, track and wind speeds and compared them to the real-life events. Once confident in their ability to mirror reality, Patricola and Wehner tweaked the climate inputs so that the model behaved in a cooler, pre-industrial world — as if climate change didn’t exist. They then re-ran the simulations for the 15 tropical cyclones under the warmer ocean and atmosphere temperatures we experience because of climate change. Running such simulations is a time-consuming process, given each test requires weeks of setup and a full day to run. But modeling the storms under cooler and warmer conditions allowed the team to better understand how climate change impacted the storms. Patricola and Wehner concluded climate change increased the average rainfall of Hurricanes Katrina, Irma and Maria between 4 and 9 percent. Climate change, however, appeared to have no effect on storm intensities, namely wind speed and sea level pressure. In the cases of Irma and Maria, climate change also concentrated the rain towards the center of the storm rather than the outer regions. As a result, land, structures and people already at the heart of pummeling winds faced more rainfall, too. That pattern was even more pronounced when Patricola and Wehner ran the simulations for a world 5.8 to 7.2 degrees Fahrenheit warmer than the one we’re in right now — an impact that could spell more headaches for future disaster management teams. The study also suggests that future climate warming could increase the intensity of strong storms. Patricola and Wehner estimated that peak wind speeds in the 15 storms they analyzed could increase by up to 29 miles per hour as climate temperatures climb. In the warmest scenario — a 5.8 to 7.2 degree Fahrenheit increase by the end of the century — rainfall levels for most storms rose between 15 and 30 percent, according to their model. This type of hurricane modeling is a burgeoning field, but evidence that humans have already impacted recent major storms is growing– sometimes in unexpected ways. 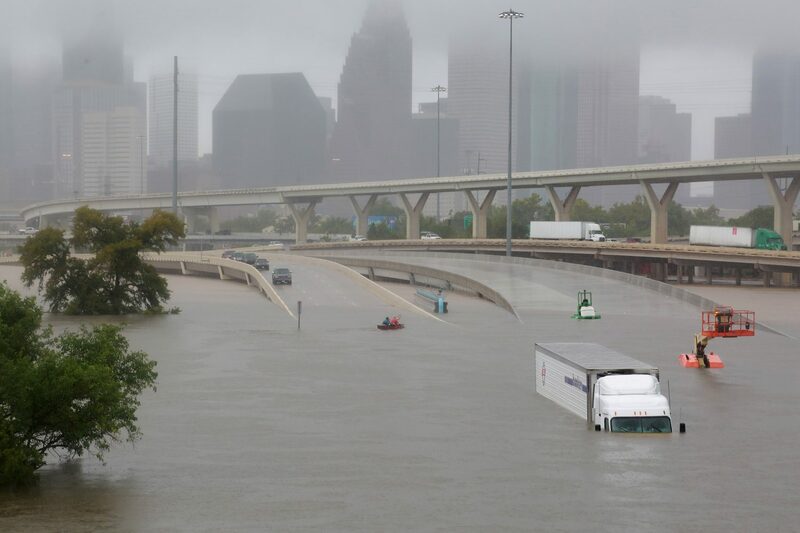 In the second study published today, researchers from the University of Iowa and Princeton University found that Houston’s tall buildings promoted Hurricane Harvey’s heavier rainfall by increasing atmospheric drag. Houston’s manufactured topography warmed the air, helped air masses converge and likely triggered updrafts — all of which can bolster precipitation. 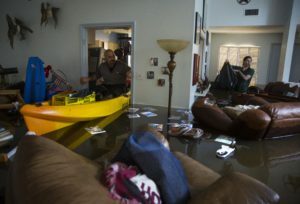 The city’s wide use of pavement and other concrete surfaces also exacerbated flooding. The combined effect of these things caused a 21-fold increase in the risk of substantial flooding in some areas of the city, the study found. These results along with Patricola and Wehner’s fall in line with the growing literature showing climate change significantly increased Hurricane Harvey’s rainfall. Wang published a study in April that suggested climate change contributed to 20 percent of the rainfall that fell on southeast Texas, which mirrored Wehner’s findings from last December. Researchers need to run more models before making any widespread conclusions, they said. But “these future changes in tropical cyclone intensity and rainfall could exacerbate societal impacts associated with ocean wind-waves, storm surge, flooding, and forests and ecosystems,” Patricola and Wehner wrote.